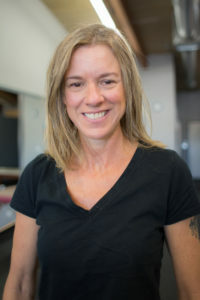 Julie Barr is the founder and owner of ELEVATION Physical Therapy. She has been involved with competitive sports since childhood, and has always had an interest in studying how the body operated, grew stronger and healed after injury. This interest led her to seek out undergraduate degrees in both Kinesiology and Psychology at the University of Colorado at Boulder. She further developed her understanding of the body through several internships and graduated with honors. Julie went on to get her master’s degree in Physical Therapy and graduated top of her class from Western University of Health Sciences (Pamona, CA). After graduation, she and her husband moved to San Diego. With a background in pediatrics and outpatient physical therapy, she was recruited to be the managing therapist at Rehab United, a nationally recognized clinic specializing in fully-functional physical therapy. While at Rehab United, Julie continued to pursue her education in functional physical therapy. She completed a year-long fellowship with the Gray Institute for Functional Transformation (GIFT) and became a Graduate Fellow of Applied Functional Science (FAFS). 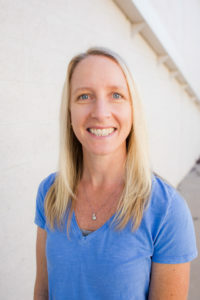 Moving with her family back to her home state of Colorado in 2013, Julie founded ELEVATION Physical Therapy in order to provide a higher-level quality of care to patients in Colorado. Her passion for functional treatment and one-on-one care are the foundations for her business. Julie has continued to pursue her love of cycling as well as becoming involved in the ultra running community. She enjoys road and mountain biking, hiking and skiing with her husband and son and just enjoying the Colorado outdoors. Joel was born in Spirit Lake, Iowa and graduated college in 2013 from Northwestern College (Orange City, Iowa) with a degree in Biology Health Professions and emphasis in kinesiology. He went to physical therapy school at Mayo Clinic School of Health Sciences in Rochester, Minnesota and graduated in 2016 with a Doctorate of Physical Therapy. 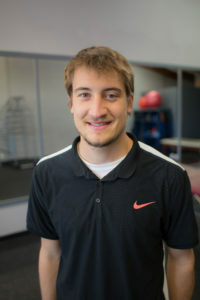 During his last year of physical therapy school, he worked at various clinical locations including Mayo Clinic Sports Medicine in Rochester, Minnesota and Rehab United in San Diego, California. Joel moved to Denver in 2017 after working as a traveling physical therapist for 4 months after graduation. 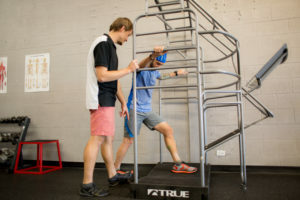 Since moving to Colorado, he has taken steps to improve both his knowledge and experience with orthopedic issues through a Certification in Applied Functional Science (AFS) via Gray’s Institute and multiple classes through the North American Institute of Manual Therapy (NAIOMT). He is also trained in Functional Dry Needling through Kinetacore. He is committed to further developing his skills as a therapist to maximize his patients’ rehabilitation and outcomes. Outside of the clinic, Joel loves to stay active taking full advantage of the outdoor opportunities Colorado has to offer including hiking, backpacking, snowboarding, ultimate frisbee, and trail running. He has a passion for maintaining an active, healthy lifestyle and tries to instill this in the people he works with. 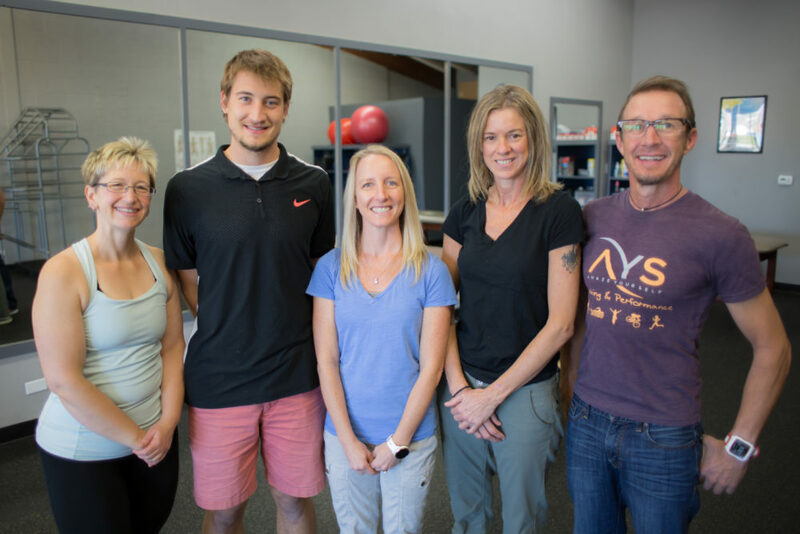 He is the newest addition to the Elevation Physical Therapy family and is dedicated to maintaining it’s high value of care and personal connections. Kelly has been a nationally certified and licensed massage therapist since 2006. She graduated from Central Oregon Community College in 2006 with an Associate of Applied Sciences via massage therapy. She is furthering her education in physical therapy and will graduate in December 2019 with an Associate of Applied Sciences and be able to take the national exam for physical therapy assistant. She believes in the power of movement at any stage of life. She incorporates Swedish, deep tissue, Myofascial Release and Trigger Point Therapy while individualizing each session for each client, condition or injury. She enjoys running, hiking, biking and being outside with her dog, Moscow. She is encouraging to anyone able to take a personal investment in their own body. 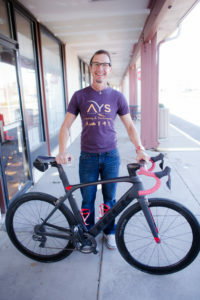 A USA cycling, USA triathlon, RRCA running, Training Peaks and FIST bike fit certified coach.